So, just how do you give a frog a bath? And, why would you need to? When the biologists in Panama bring the frogs in from the wild to either the El Valle Amphibian Conservation Center or to Summit Municipal Park, one of the first things the frogs experience is a bath. Push those thoughts of tiny loofahs and soap bars right out of your head! No need for that here—rather, what these amphibians need is itraconazole, an antifungal medication. All frogs brought in from the wild go through a 10-day treatment protocol even before all of the amphibian chytrid results come back. The risks of missing a positive case and introducing chytrid to the entire captive population are too great to wait for results before beginning treatment. For 10 minutes each day, the frogs are bathed in the antifungal medication. Animals that are actively showing signs of illness also receive intensive supportive care to help them survive the course of treatment. The amphibian chytrid attacks the skin cells of amphibians, which can be quickly lethal for an animal that relies on its skin for the majority of respiratory function, hydration and electrolyte balance. Veterinary care for afflicted animals includes continuous fluid therapy to maintain hydration and replace electrolytes, as well as antibiotic treatment to protect against other infections that may take hold after the loss of the skin’s protective barrier. Ten days after the bath cycle, the frogs are again tested for chytrid. If they test negative, they are cleared to go into the collection at EVACC and Summit Municipal Park after their mandatory 30-day quarantine period ends. Chytrid is not the only health concern for the captive population. 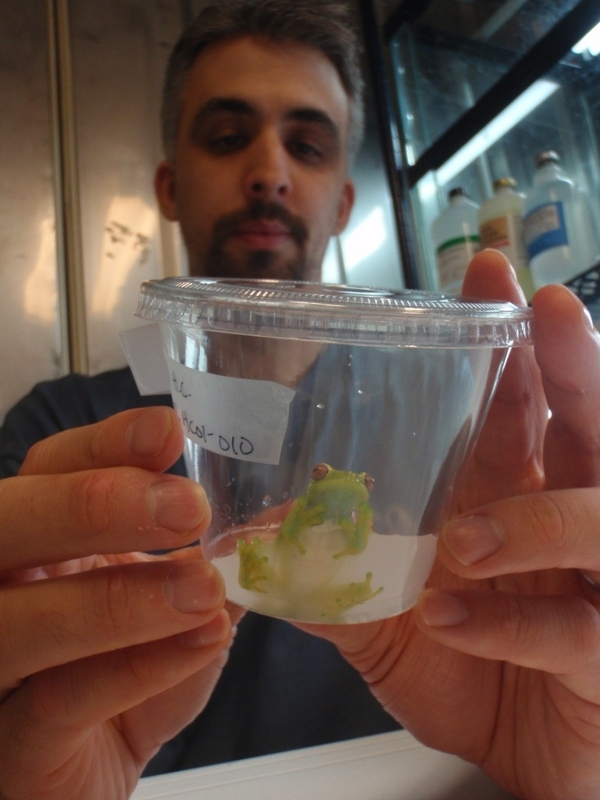 Lungworms, which commonly affect wild and captive frogs, are also a big concern and one that the veterinarians and staff caring for the captive collection at EVACC and Summit are working hard to treat. While frogs can normally live with lungworms in the wild, extra care is taken with captive frogs because of the potential longevity of the parasite’s lifecycle. While lungworms do not have any relation to the chytrid fungus, they can still make the frogs quite ill, which is why it is important to treat them. As one would expect, lungworms live in the frog’s lungs. Because the larvae are passed through the feces, it is important to regularly clean the frogs’ tanks so the animals do not get re-infected. All of the tanks are designed so they can be washed thoroughly and substrate in the tanks is routinely removed. The parasite is also another physiological stress on the animal, which the veterinarians and staff strive to minimize as much as possible. While in quarantine, each frog is treated for lungworms through an oral medication that is administered once and then followed up two weeks later. While frogs can typically test negative for lungworms, this does not mean they are not infected— it could just mean that they are not passing larvae. 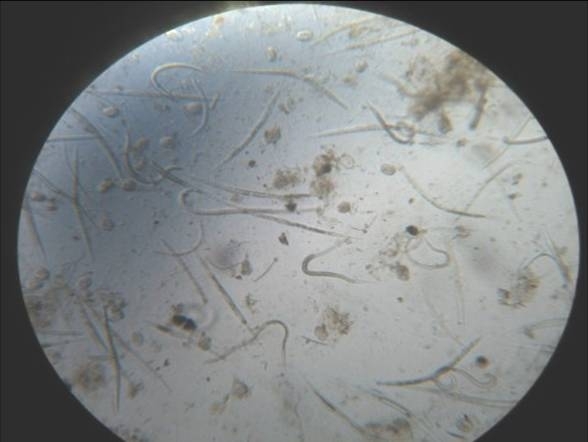 If treated and monitored, the veterinarians and staff are able to keep this parasite under control. It’s yet another challenge, but one that can be managed through diligent and attentive care. This entry was posted in chytridiomycosis, ex-situ conservation, Rescue and tagged chytrid, EVACC, itraconazole, Summit Municipal Park, Zoo New England by Lindsay. Bookmark the permalink.